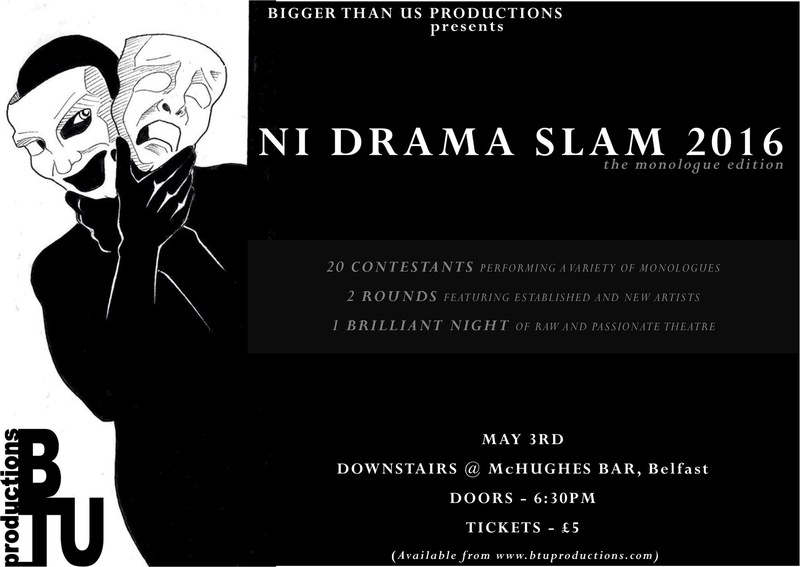 Bigger Than Us Productions present The NI Drama Slam 2016 | SCENE! The NI Drama Slam is the first competition to run in Northern Ireland that is geared towards actors. The event gives 20 actors the opportunity to showcase their talents by performing a monologue in front of a panel of industry professionals. Tickets are available from the Bigger Than Us Productions website: http://www.btuproductions.com/#!tickets/pbp8v.